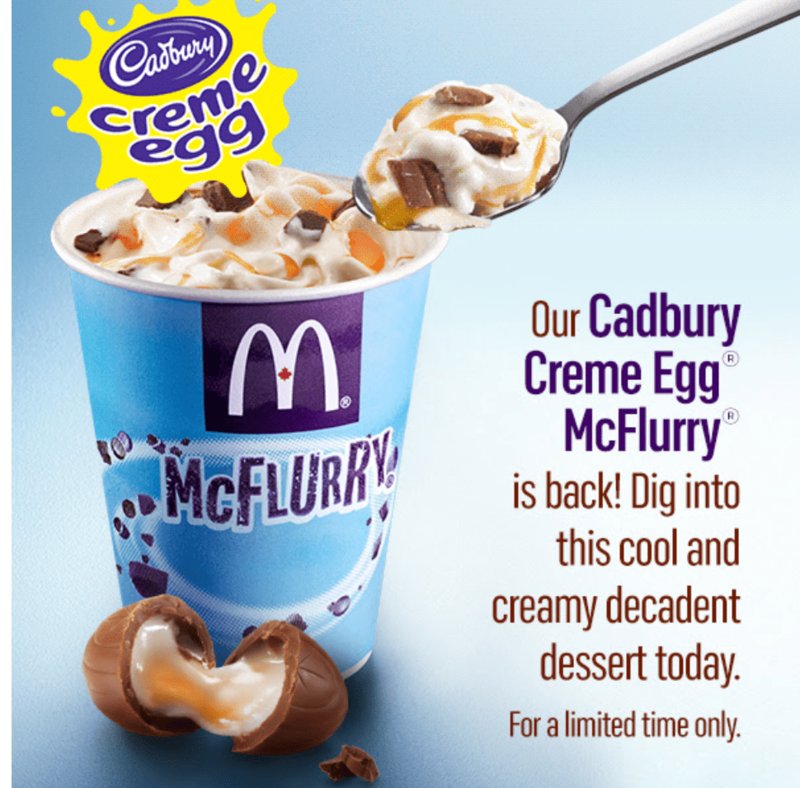 McDonald’s Canada’s Cadbury Creme Egg McFlurry is back! Dig into this cool and creamy decadent today. Available for a limited time only. McDonald’s McCafé Canada also has a coffee promotion going on across the country. Enjoy any size hot premium roast coffee for just $1. This promo is valid until March 3 2019 at participating locations. And now, earn with McCafé Mobile Rewards on the MyMcD’s® app. Buy 7 hot beverages and your 8th medium hot beverage is always free. Click here to view all promotions at McDonald’s Canada.